Everywhere you look someone is announcing they are pregnant! Part of the excitement of finding out you are pregnant is the exciting way you get to announce to all of your friends and family. People announce their pregnancy by videos, cute poems, or the most popular, social media posts. 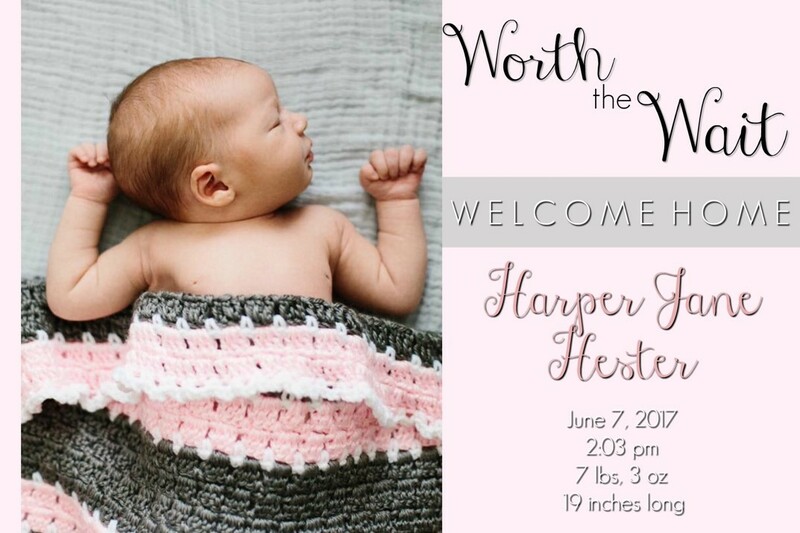 Once the baby finally arrives, so does a cute little birth announcement with all the details of the arrival. Just like when people announce a pregnancy and birth, adoptions are just as special and should be announced as well. 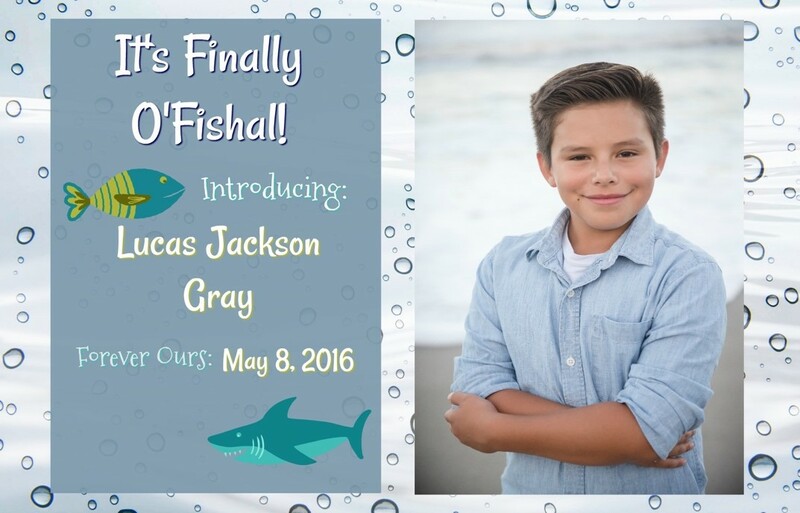 Adoption is an exciting time in every family and announcing in a special way is important! So check out these adoption announcement ideas! No one will deny the most common way to announce the exciting news of a baby is with cute photo announcements! All of these announcements are custom made and easy to make yourself, or you can also find plenty online. 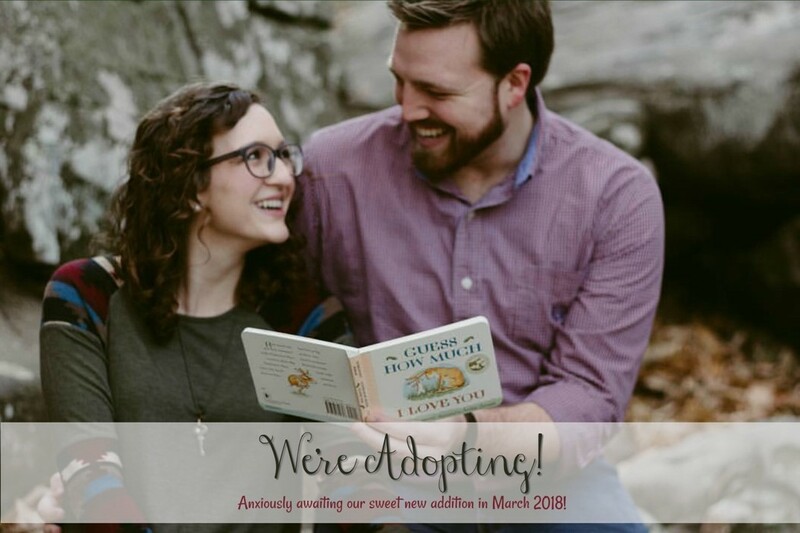 Adoption announcements are really becoming popular and can be found on most websites that already have announcements and invitations. #1: Short and Sweet-Announcing the future adoption, and in this case already being matched with an expected arrival date! This can also be done with announcing fostering! #2 and 3-Themed Announcements! There are several themes you can use when announcing your adoption. “The Adventure Begins” and “It’s O’Fishal” are just two of many. Two other favorites are “We have found our missing piece!” (Puzzle Theme) and “Even Superman was Adopted!” (Superheroes). Many people choose to also have an adoption party, especially when adopting an older child. It is fun and cute to coordinate the announcements with the theme of the party. You can also announce on an invitation to the party! 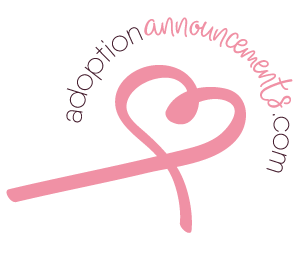 #4-Birth Announcement-Announcing the birth of your child, but with an emphasis on adoption! “Worth the Wait” and “Welcome Home” have been paired together for this announcement. You can also use themes for infant birth announcements as well. My name is Makayla Robinson, and I have been married to my high school sweetheart, Kyle, for six years. 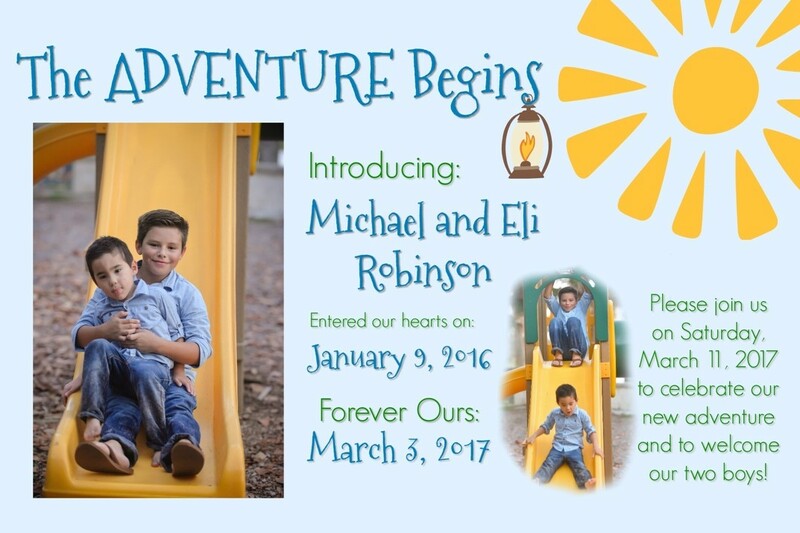 We have two boys who were adopted through foster care, Michael and Eli. We are also excited to be welcoming our first biological child, a third boy named Oaklyn! 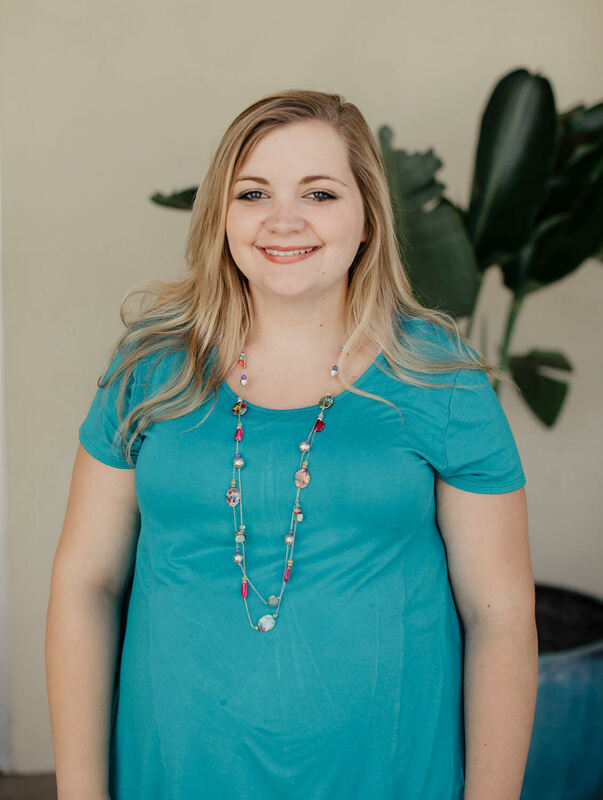 Our site aims to give you great ideas on adoption announcements, how to celebrate adoption, birth adoption announcements, stepparent adoption announcements, and more.